St George's is delighted to be hosting a new EYFS event this year. 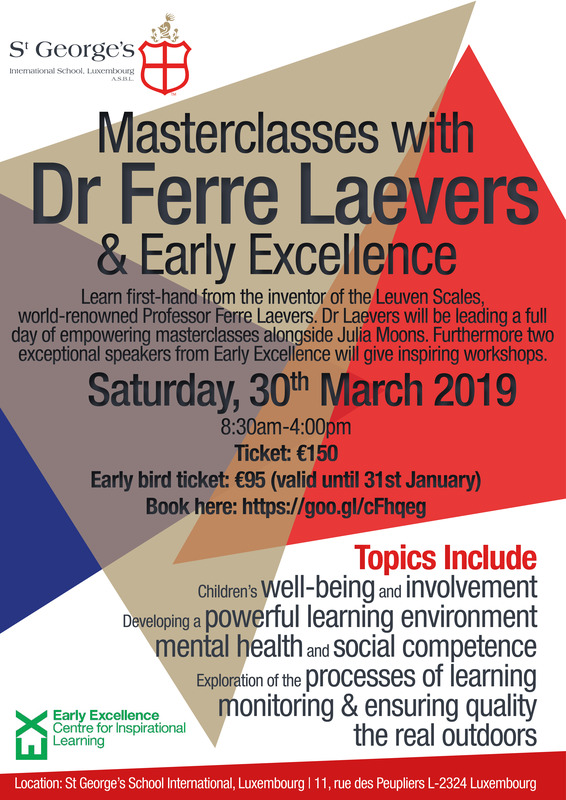 This year we are hosting masterclasses by Dr Ferre Laevers who invented the Leuven scales, globally recognised as the most accurate measure of learning in the Early Years. We also have two experts from Early Excellence leading workshops. Early Bird ticket: 95 euro if booking by the 31st January.